How can you distribute three apples to two fathers and their two sons, giving a whole apple to each. They are Grandfather - Father - Son. The middle is a father and a son at the same time! 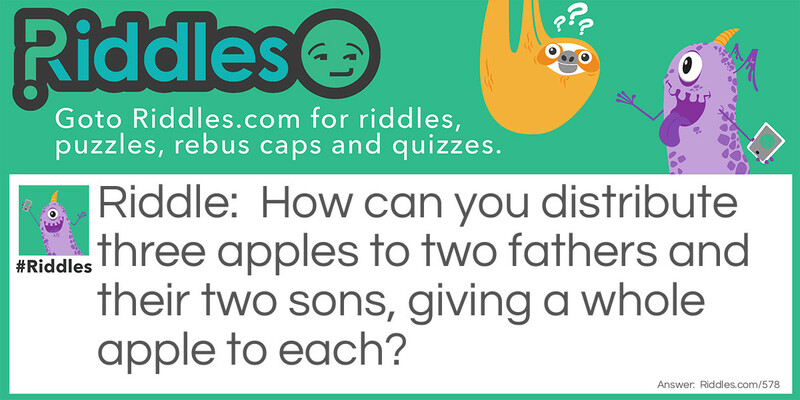 Apples for the Family Riddle Meme with riddle and answer page link.